This is a mediation of an imitation of a mediated meditation. Myanmar. 2014. Don’t worry, buddhists in Myanmar don’t mind this kind of thing. It’s not considered sacrilegious. 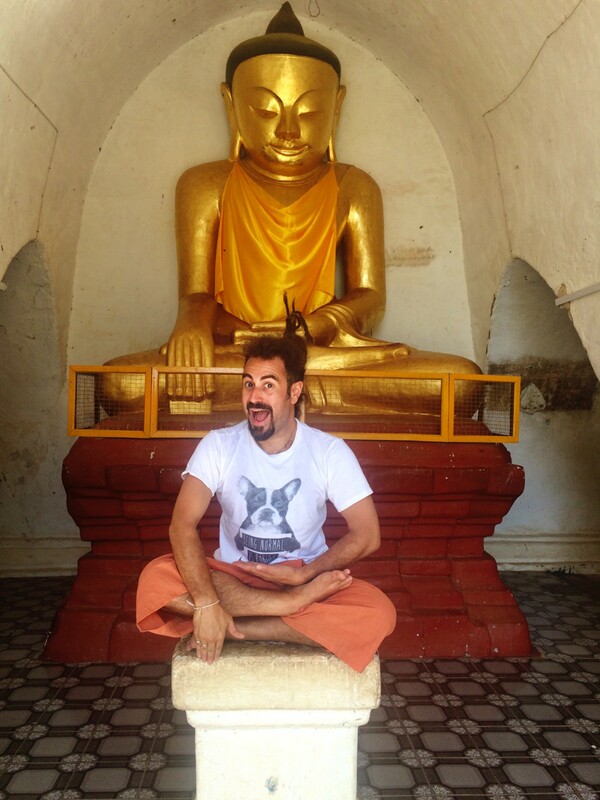 Any image or reminder of a buddha is a good thing, basically. Trust me, I checked. Extensively. They don’t love it so much in Thailand though. Also don’t point the soles of your feet at the buddha. Virginia Woolf once said nothing is real until it is recorded. It seems like the rest of the world has caught up with her. We endlessly refract ourselves, mediate our lives, to reach out and connect and then, begin to construct ourselves, in response to what seems to drive attention our way. Online everyone is famous, but some are more famous than others — and it’s easy to tell who, because everything is enumerated. Every Like, every Share, tells us what drives the most attention back in our direction. Why do you think you so see so many baby and wedding photos on Facebook? It’s because you are more likely to Like and Comment on them. You have to, really. It would be rude not to, right? So the Feed optimizes based on your behavior. As people, we have always thought socially — seeing ourselves through the eyes of others. Increasingly it seems that without mediation, nothing feels real. Next time you are at a concert, or anywhere, doing any thing — look at all the people taking pictures, recording film — even firsthand experiences require mediation. The MTV generation was dubbed thus because of the media it consumed. Today’s the generation is perhaps better understood to as The Mediation Generation because of the media it produces. Previously, we thought about photographs as stored memories. “Kodak Moments” were frozen slices of time to be treasured forever. Pretty quickly though, they invented the Carousel [that Don Draper named for them], so we could force our friends and neighbors to endure our family vacations along with us. 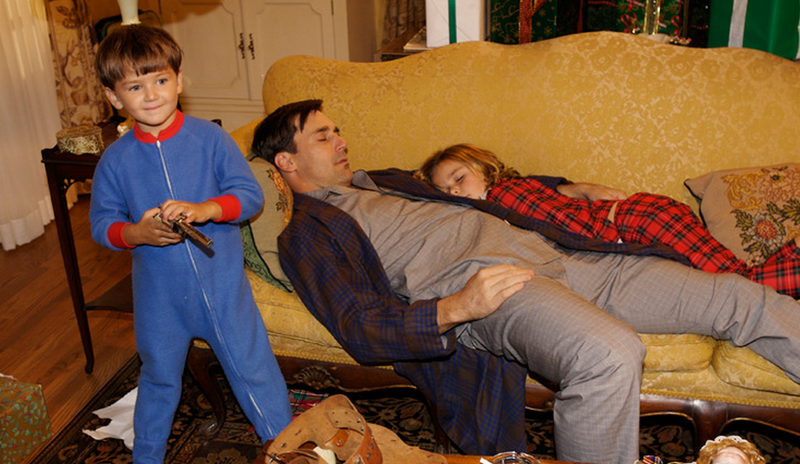 image from draper’s presentation. probably copyright AMC via a fictional reality. That’s according to the founder of an app called Memoir, who is hoping to change that, but it sounds right. More photos, more selective sharing, more dumping iPhoto libraries on to external hard drives. 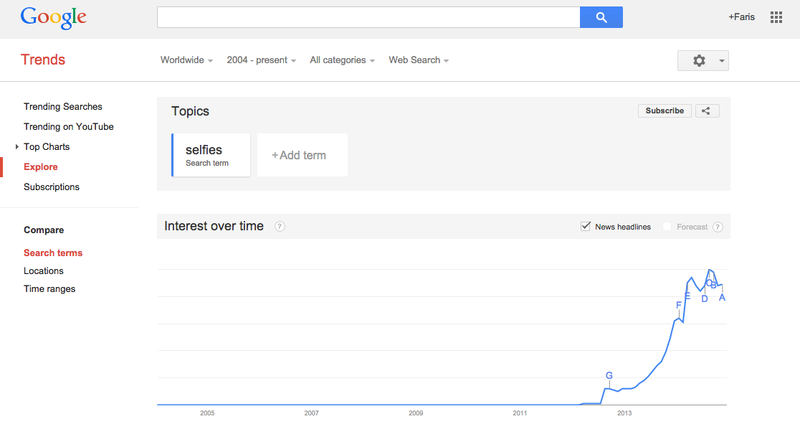 People are taking more photos and videos than ever before — but sharing them less. 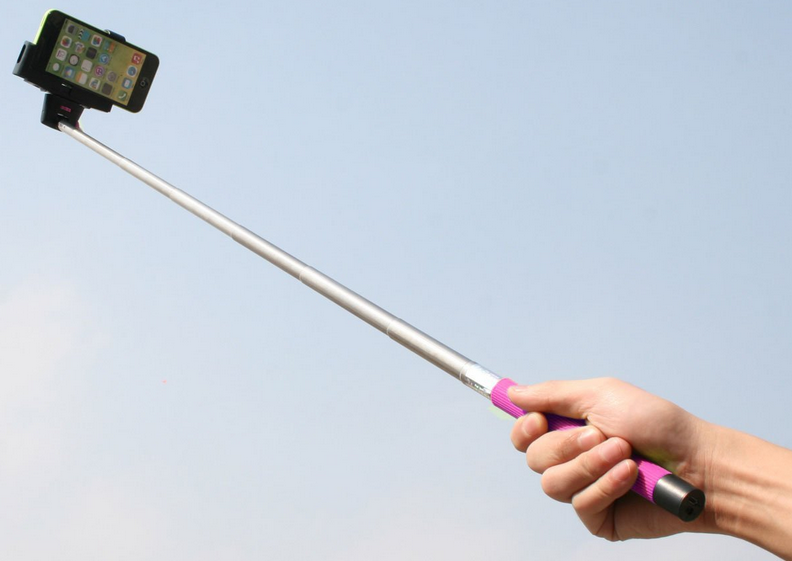 Selfie sticks are ubiquitous in parts of Asia. From sharing then, to what? It reminds me of a story I read about Britney Spears back when she was super famous and going crazy. She said that she didn’t see herself in the paper that day, she wasn’t sure she still existed. Baudrillard suggested that endless mechanical reproductions of everything make it impossible to tell fantasy from reality — the copies become reality. He called this hyperreality — a kind of reality by proxy — and he said that we had already created a world of simulated stimuli. People in Asia seemed to be filming random events in real time. Things that didn’t even seem worth capturing. It’s almost as though they were live streaming their lives to themselves, so they could understand it. Ah. Now there’s a thought. We spend almost every waking moment immersed in media. It’s becoming our natural habitat, so much so that we need, perhaps, to increasingly mediate our own lives, to consume our own lives as media. Maybe selfies are just a quick check, to see if we are still here. 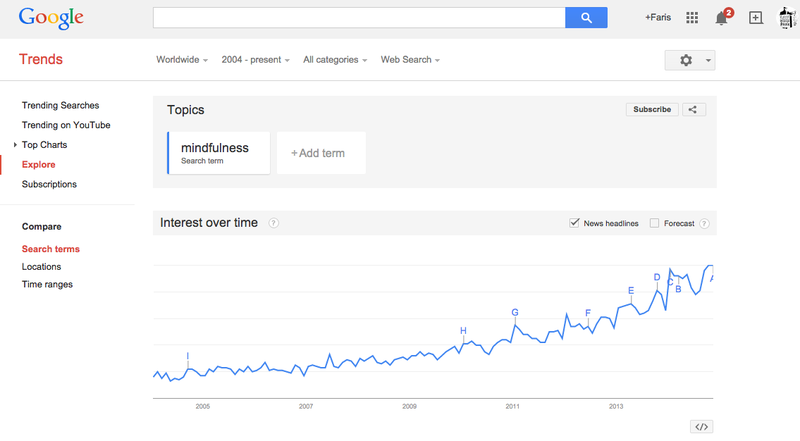 As counter point: the recent rise of mindfulness meditation. [Trends, if you believe in that kind of thing, almost always have opposite expressions manifesting at the same time, as the main stream and “alternative” stream bounce off each other. From spiritual seekers straight to the business discourse of The Economist, Forbes and Harvard Business Review. Capitalism will absorb anything, even things held up as counter points to it. 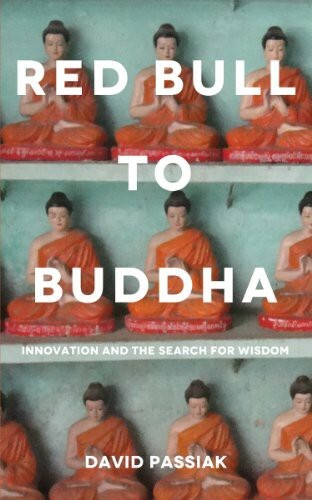 In his book Red Bull To Buddha, David Passiak describes the origins of the mindfulness movement: Vipassana, one of the oldest forms of meditation, supposedly discovered by Gautama Buddha himself. Vipassana is roughly translated as insight for the adfolk among you. Vipassana meditation uses mindfulness of breathing to help people develop insight into the nature of reality. It consists, mostly, of “noting” in real time, your experience of being alive. Focusing on your breath and simply noticing what it’s like. Paying full attention to the instant you are in. Your mind will inevitably wander, this is what minds do, and when you notice, you very gently bring it back to the breath. It takes no effort at all and yet can be the hardest thing in the world, if you try to not think about anything. It’s close to impossible. Instead, when you think of something, which is fine, just note that too, and let it go, bringing your attention gently back to the moment. Headspace is a a guided mediation course in an App, led by the soothing British voice of a former buddhist monk called Andy Puddicombe. He describes the act of bringing your attention back to the breath as the softest possible action, like a “feather on glass”. I once saw some graffiti on a toilet door that said “All of our anxieties stem from an inability to live in the present moment: BE HERE NOW”. This is a reference to Ram Dass’s book on mindfulness, which inspired songs by George Harrison and that album by Oasis. Regrets are about the past, anxieties are about the future. If only it was that easy. Hardest thing in the world. Like a feather on glass. British philosopher Alan Watts wrote The Wisdom of Insecurity: A Message for an Age of Anxiety in 1951, trying to make sense of life as an endless series future promises, having had those certainties destroyed by war. From pre-K to kindergarten to school to high school to university to jobs to promotions to retirement. Always displacing enjoyment into a future that never comes, because unless one can enjoy now, when the future comes, it will recede just as fast. This is what he meant when he said that “Life is a Hoax” as you endlessly chase the next level. Today no one even expects a job, let alone one for life, and retirement is a myth we all know is hollow, except for the richest of us, who will never be happy anyway. We live in an age where our attention is the most valuable commodity there is, fueling the most powerful companies, like Google and Facebook. It’s so valuable that it can be arbitraged with high frequency trading, just as stocks are. 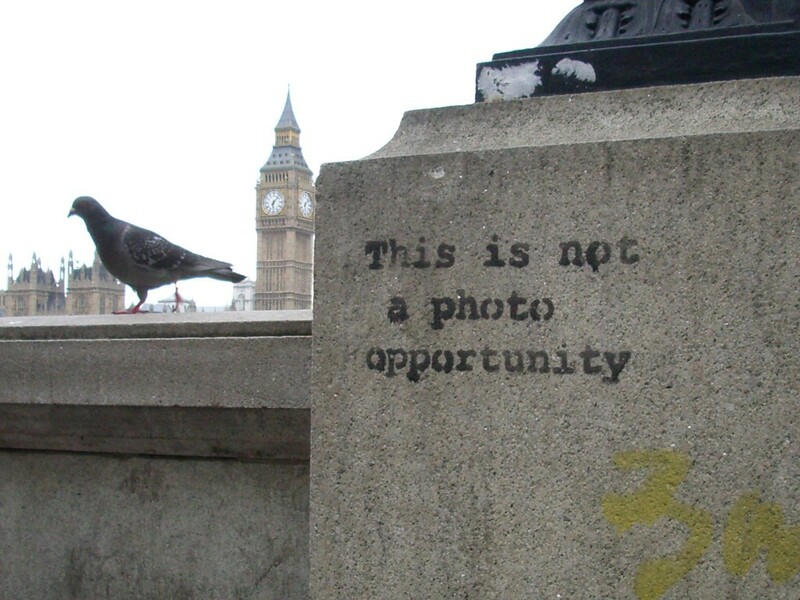 Advertising, from advetere, to draw attention to, is constantly, by definition, trying to capture our attention. We spend eight or more hours a day consuming media. In response, we mediate ourselves, hoping to regain some control, to put ourselves back into our own world, filling the stream with our own lives, at least partially. Fingers on the screen become the interface for our own lives. Taking pictures of living, mediation, by definition brings something between you and the moment. It fractures your attention across time and space. Nothing is really good or bad, but thinking makes it so. Smartphones, social media, do wonderful things. Create great value in many ways for many people. But once in a while, take a deep breath. Faris is a founding partner of itinerant strategy and innovation consultancy Genius Steals, built on the belief that ideas are new combinations. He is the author of Paid Attention, which will be released April 2015 and contributing author of Digital State  and What is a Brand? , all published by Kogan Page. Despite, or because of, living on the road, you can reliably find him on Twitter @faris and at farisyakob.com. He tweets a lot but is trying to breath more.